When I was in college I used to write and chat on instant messenger at the same time. Whenever I needed a name for a character, I’d message one of my friends and ask for suggestions. I did this enough times that my friend refused to answer any more of my requests for names. Which I don’t hold against him. These days I don’t harangue my friends for name suggestions, even though I still have difficulty with the process. Coming up with character names is actually one of the things I do before I ever write a word of a novel, along with setting up my word count spreadsheet and determining which colors I want to use on the labels in Scrivener. Sort of a writerly mise-en-place: get everything set up so as to minimize mid-novel disaster meltdowns. Characters tend to come to me in the daydreaming stage of the writing process, so ninety-nine percent of the time, I have the character before I have the name — unlike in real life, where you saddle a baby with a name that may or may not suit her personality in the slightest. I’ve spent a lot of time scrolling through baby name websites looking for things that will fit the character’s personality and that don’t have any unsavory connotations for me, like Christopher (sorry, Christophers of the the world, it’s not your fault). This is actually pretty easy. What really trips me up when it comes to names is choosing one that sounds good. To me, writing is like music: the length of the words and the sentences and the paragraph create rhythm, and the pronunciation of those words creates the melody. Names are a melody that will be repeated throughout the book, so it’s important that they be something I enjoy hearing. 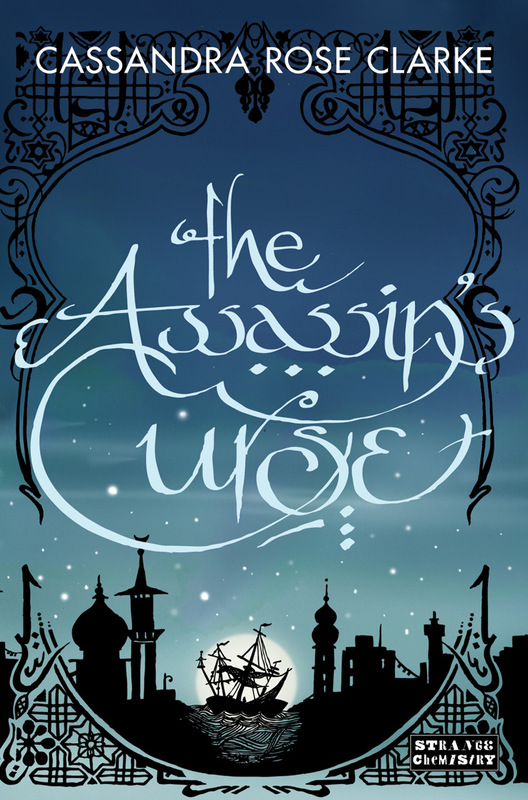 For all three of the major characters in The Assassin’s Curse, for example, I poured over list after list of names, speaking the names out loud and hearingthem before finally settling. It hasn’t escaped my attention that the names Naji and Marjani sound the same, and that’s because they contain sounds that I like — namely, the softness of the m/n sound, especially when coupled with the j sound. Ananna’s name, although pretty different from the other two, also heavily features the n sound. The a’s in her name are long, by the way, so her name isn’t meant to rhyme with banana, but with Ghana, giving her name a much lovelier lilt. I also had some fun with the names in my second novel, The Mad Scientist’s Daughter. The male protagonist’s name, Finn, features that ever-present soft n sound, and when Finn is spoken aloud, it kind of sounds like a sigh. This is in contrast to the main character’s name, Cat, which, although another single-syllable name like Finn, has a harder, more abrupt sound. This hard- and softness was meant to reflect the way the characters interact with each other in the book. So that’s a little bit about my process for choosing character names. At times it resembles a college-level poetry course — something I never actually realized until I wrote it down for this post! Cassandra Rose Clarke on Twitter, Facebook, Web. The next guest is Jo Anderton on 27th December. You can find the full schedule in the link at the top. Posted on December 20, 2012, in Debut Authors Guest Series, Guest Posts and tagged 2012 Debuts, Angry Robot Books, Cassandra Rose Clarke, Debut Authors, Debut Authors Guest Series, Fantasy, Guest Posts, Names, Names A New Perspective, Pirates, Strange Chemistry, The Assassin's Curse, The meaning of Names. Bookmark the permalink. 1 Comment.